There are many different types of coffee in cafes these days, and some people might think that a lot of them are just fancy ways to say the same thing and charge it differently. In the case of caffé latte and café au lait, it seems to literally be the case. Both just mean “coffee with milk,” only in different languages – Italian and French, respectively. However, while they are both, as the name says, coffee with milk, the manner of their preparation as well as the resulting taste, differ greatly. Soon, you will find out exactly how and why. 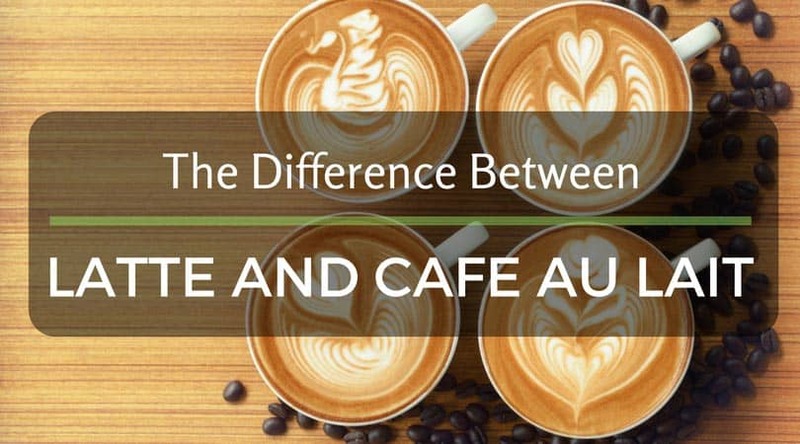 For starters, there are more than a few similarities between the two types of coffee. They both use espresso as the most common coffee base, and both use steamed milk in the mixture more often than not. However, that’s where most of the similarities end. 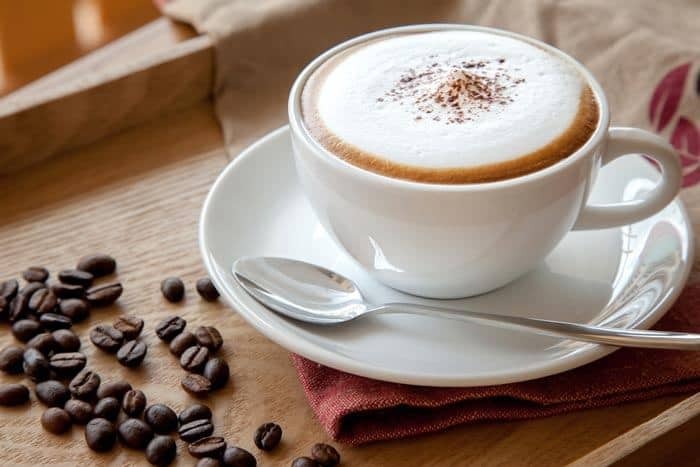 The first big difference between the two types of coffee is the way milk is incorporated into the mixture. Caffé latte uses a lot of milk and is usually two parts milk one part espresso. It also uses a mixture of steamed milk and milk froth that is usually lighter on the froth. Some even use micro-froth, and there are various ways in which one can achieve the perfect ratio of milk-to-froth. Because of this, making a latte can be quite a lengthy process. 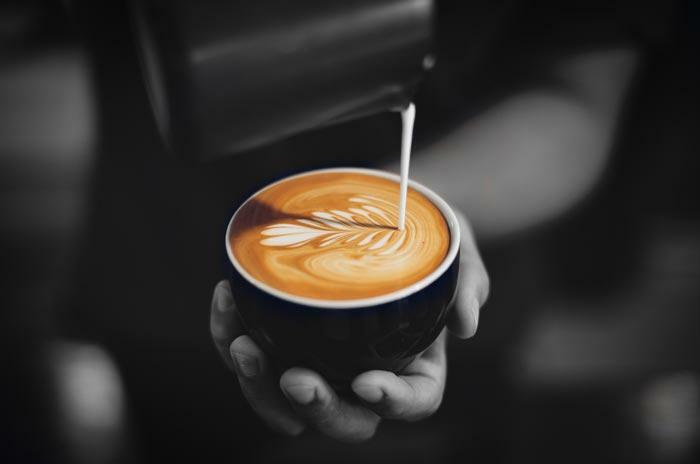 Pouring the milk into the espresso is an art in itself, and one of the things that led to the wide popularity of café latte is the latte art made by pouring the milk. Some people who are less artistically inclined like the pour the espresso after the milk, which is sometimes referred to as a “reverse latte” and creates a different taste. Caffé au lait, on the other hand, uses milk differently. It only uses steamed milk and uses no froth at all, while the mixture is half espresso and half milk. However, the coffee that’s used doesn’t necessarily have to be espresso. 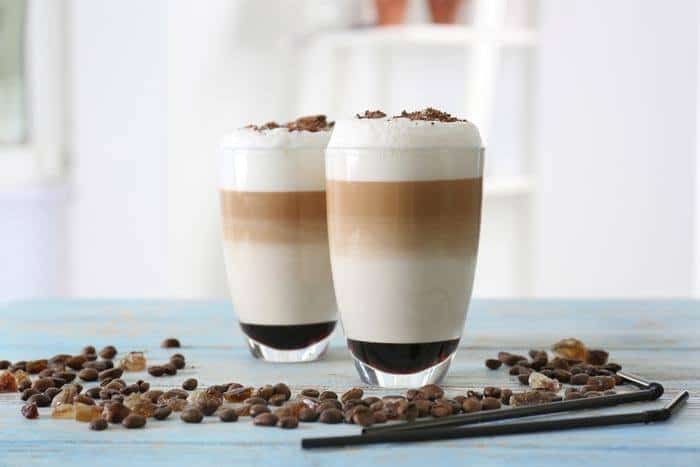 While it is rare to see caffé latte made with anything other than espresso it is not uncommon for caffé au lait to be made with any other kind of strong coffee, usually brewed in a French press. However, there are even more differences in these types of coffee depending on where in the world you happen to be. What do I mean by that? Well, allow me to explain. The way latte – and especially caffé au lait – is made, differs greatly when you cross the Atlantic. Many people are confused when they order one of these beverages in a foreign country and get something completely different from what they thought they were going to get. That’s because these beverages developed differently in European countries when compared to the US. 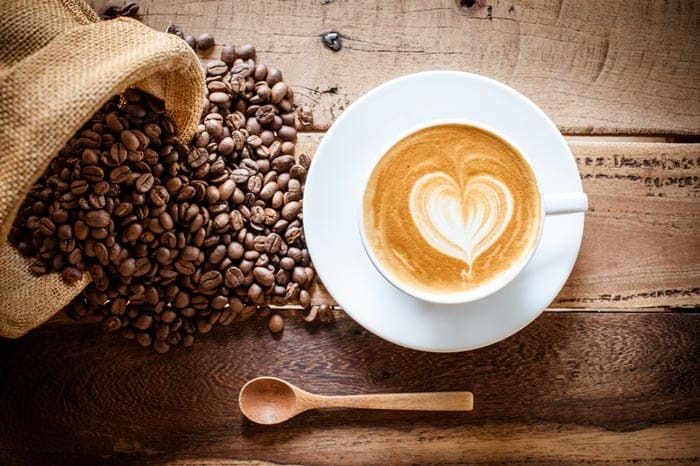 For starters, in a lot of European countries, the term “caffé au lait” is used interchangeably with “caffé latte,” and there is little or almost no difference between the two. Depending on which part of Europe you’re in, it might not even be called either of these names. In Germany, it would be “milchkaffee” for example, while in Spain it would be known as “café con leche” and so on. In some other countries, the two terms are used to indicate if the coffee is served in the French way (caffé au lait) or the Italian way (caffé latte). The first is almost always served in a white cup or bowl and might use espresso or some other dark coffee, while the second is almost always served in a kitchen glass and made by using an espresso machine. In the US, things are a bit different. Caffé au lait is almost always significantly different from café latte and more commonly brewed using strong coffee as a base instead of espresso, and it’s served in a cup. There are a lot of regional variants as well, with the most prominent being the one found in New Orleans where it is mixed with chicory and made using scalded milk instead of steamed milk, producing an exceptionally bitter taste. But there are at least two other types of coffee with milk that are commonly confused with these two. What about them? Well, here’s the deal. What About Cappuccino And Macchiato? These are two other coffee-based beverages similar to caffé latte and caffé au lait. 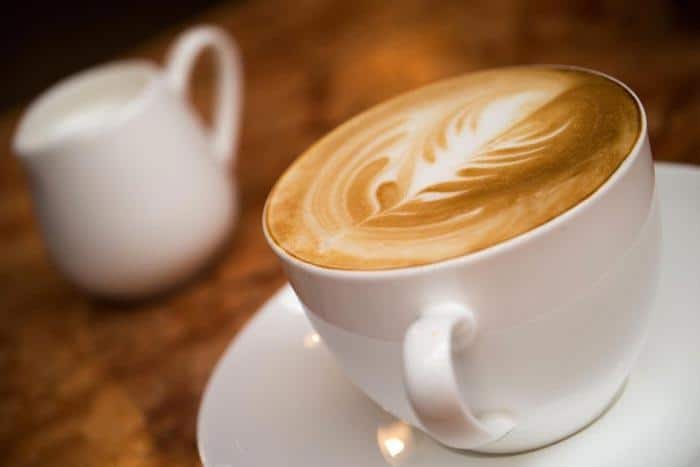 They are also often confused with them and, depending on the region, you might get something more similar to latte when you order one of them. Cappuccino is especially similar to latte since it’s also made out of espresso with steamed and frothed milk. However, the difference is the ratio of milk to froth in the mixture. Cappuccino has a lot more froth than milk, which leads to a different taste – that’s also why coffee art can’t be made well with a cappuccino. Macchiato is another type of coffee made with espresso as a base to which the milk is added. However, it only uses milk froth and no steamed or scalded milk. It’s much less creamy than any of the similar beverages. Now, where things get a little murky is when making “wet” cappuccino that uses more milk than usual. It can be almost indistinguishable from a latte and in many places it is just a latte. This varies from shop to shop and from region to region. Macchiato can also slide into cappuccino territory if some milk is added to it, though you will probably never mistake one for a latte. Overall, these are all similar coffees, but they still have some significant difference that you will become attuned to after drinking them for a while. And so, we’ve come to the end of this article. As you can see, caffé latte and café au lait can be significantly different types of beverages. They do share a lot of similarities though, and in some parts of the world, these names are used to refer to the same beverage. However, once you get a taste for them you will be able to tell the difference with a single taste – even if a coffee shop calls something a latte, you will know if it isn’t.